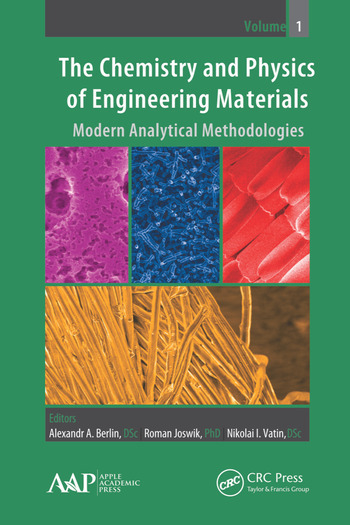 This volume presents leading-edge research from around the world on modern analytic methodologies in the chemistry and physics of engineering materials that have potential for applications in several disciplines of engineering and science. Contributions range from new methods to novel applications of existing methods. The collection of topics in this volume reflects the diversity of recent advances in chemistry and physics of engineering materials and provides a broad perspective that will be useful for scientists as well as for graduate students and engineers. This volume is also sold as part of a two-volume set. Volume 2 focuses on the limitations, properties, and models of engineering materials. M. I. Abdullin et al. A. V. Krementsova et al. Beata A. Zasonska et al. V. F. Kablov et al. T. Sh. Khakamov et al. E. I. Kulish et al. Ana C. F. Ribeiro et al. B. M. Rumyanysev et al. G. Z. Raskildina et al. A. N. Kazakova et al. Vatin Nikolai Ivanovich, DSc, is Chief Scientific Editor of Magazine of Civil Engineering, and Editor of Construction of Unique Buildings and Structures. He is also a specialist in the field of chemical technology. He published several hundred scientific papers (original and review) and several volumes and books.